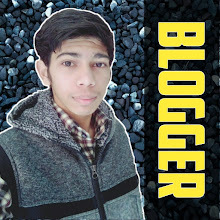 Home / how to link aadhar card in irctc / how to link aadhar card to irctc / Link Aadhar To IRCTC Account / link aadhar with irctc account / IRCTC Account Me Aadhar Card Kaise Link Kare? How To Link Aadhar Card In IRCTC Account? IRCTC Account Me Aadhar Card Kaise Link Kare? 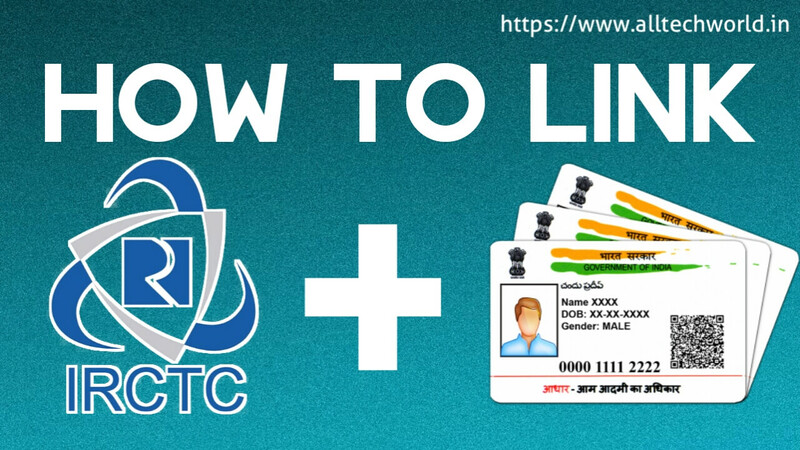 How To Link Aadhar Card In IRCTC Account? Agar Aap Abhi Apne IRCTC Account Me Aadhar Card Link Karna Chahate Hai To Hamari Ye Post Aapke Kaam Aa Sakti Hai. Is Post Me Hum Aapko Bahut Hi Aasan Ho Steps Me Batayenge Ki Kaise Aap Apne IRCTC Account Me Aadhar Card Link Kar Sakte Hai. Aadhar Card Link Karne Se Dhyan Rakhe Ki Aapke Aadhar Card Me Mobile Number Registered Hai Ya Nhi. Agar Nhi Hai To Use Update Kra Le. Agar Registered Hai To In Steps Ko Follow Kare. IRCTC Account Ko Me Aadhar Card Kaise Link Kare? 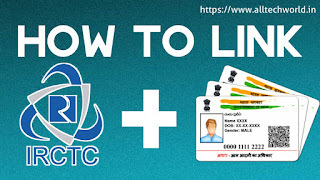 How To Link Aadhar Card In IRCTC Account? 1. IRCTC Account Ko Aadhar Se Link Karne Ke Liye. 2. IRCTC Ki E-Ticketing Website Par Jae irctc.co.in Par Jae. 3. Apna Username Id Or Password Dalkar Login Kar Le. 4. Iske Baad My Profile Me Jae. 5. Ab Aadhar KYC Option Par Click Kare. 6. Apan Aadhar Card Number Enter Kare. 7. Aadhar No. Enter Karne Me Baad Verification Ke Liye Aapke Registered Mobile Number Par Ek OTP (One Time Password) Aayega. 8. Ab OTP Enter Kare. Bas Ho Gya Aapka IRCTC Account Aadhar Card Se Link.